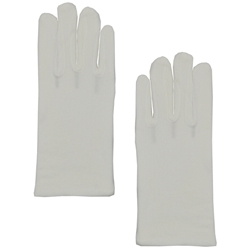 Cotton dress gloves. Adult. Available in large only.